Control access, parking, inventory and equipment all through RFID customized for your property's needs. The Property & Equipment Management industry includes building management, real-estate property management, and industrial machinery rental sectors. When managing assets that are being rented, the need for efficient management of property is common among all sectors. 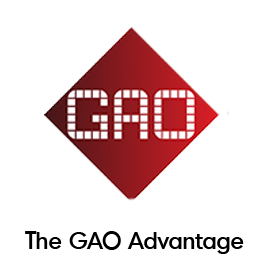 GAO RFID offers a large collection of RFID solutions to help the industry stay profitable. To succeed in the industry, organizations must find efficient ways to manage the assets and provide a safe and secure experience to its renters and tenants. Whether it is a building or an industrial tool, the proper maintenance of these assets is key to the operation. Tracking maintenance schedules and knowing which asset is due for servicing is a time consuming exercise. 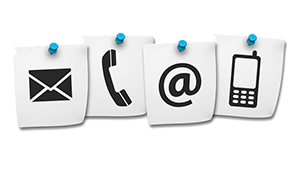 In addition, knowing what rental equipment are available or where they are currently leased is crucial to the bottom line. RFID technology enables you to tag your equipment and monitor their location and usage to ensure availability and performance. Being able to track and locate items such as keys and documents makes the management process easier. Traditionally, a pen and paper process is used to locate and reconcile inventory yet there is a growing need to quickly and accurately perform this process. Tagging your items with RFID technology provides the identity and location of all assets in real-time; a clear view of your inventory is achieved within a few clicks. Employee safety and productivity are important to managed properties. By knowing where personnel are located and how long they spend at certain tasks will help to maintain safety and improve team performance. Providing your staff with RFID badges enables you to locate and monitor your personnel. Not only does it make your property safe, but it also provides you with insight on work patterns and productivity levels to help you make operational decisions. An effective way to grant and restrict access or remotely change access permissions is important to building and property managers. With the many different zones such as pools, party rooms, parking garages, and security offices, having the flexibility to provide some or all zones makes it easier to perform administrative duties. RFID keyfobs are encrypted and they provide a high level of security for tenants and renters while enabling administrators to conveniently change access permissions remotely. We are here for you. We can help tailor an RFID system around your property management client's needs including custom reports and software solutions combined with all the right hardware. Would you like to know more about RFID Systems for building and property managers?